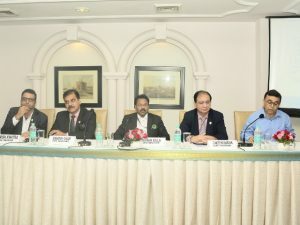 India Convention Promotion Bureau (ICPB) has announced the dates for its 11th Conventions India Conclave (CIC) 2018. The convention will be held at Biswa Bangla Convention Centre, Kolkata, from August 29-31, 2018. Some 300 participants are expected to attend the Conclave including 150 domestic and 40 international potential buyers. The sole focus of the event will be on India’s potential as a MiCE destination, through interactive sessions, exhibition, and B2B meetings. 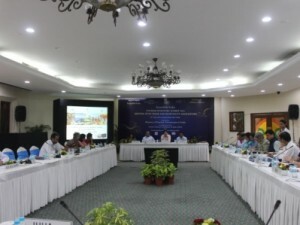 Post efforts by India Convention Promotion Bureau (ICPB), the Ministry of Home Affairs will shortly launch an online module for submission of applications by the organisers of international conferences for seeking clearance from the Ministry. The clearance will be generated through the online system and sent to organisers. A copy of the clearance will also be endorsed to all Indian Missions/Posts. Commenting on the same, Chander Mansharamani, Vice Chairman, ICPB, said, “It’s a great news for all of us in the convention industry. We have been persistently following up with the Ministry of Tourism on the need for grant of conference visa. We are sure this will help us to bring in more number of international conferences to India in the future.” Ministry of Tourism has informed that revised instructions have been issued by the Ministry of Home Affairs, Government of India vide circular number No 25022/8/2018-FCC, dated February 28, 2018, relating to the grant of Conference Visa to foreign nationals coming to India to attend international conferences/seminars/workshops. The 10th Conventions India Conclave, a flagship event of the India Convention Promotion Bureau (ICPB) has been finalized to be held in Hyderabad from 29th – 31st August 2017. ICPB will be hosting their annual Conventions India Conclave at the Hyderabad International Convention Centre this time around. This was announced by Chander Mansharamani, Vice Chairman, ICPB who also added,“ We will take this opportunity to project ICPB as a parent body for promoting as a convention destination especially when we are working on restructuring of ICPB and strengthening of ICPB .” The theme of the event is Expanding the Boundaries – Mission Possible, focusing on all the segments of MICE. The conclave is expected to have a huge turnout of 250 – 300 delegates comprising stakeholders, corporate heads, the medical fraternity representatives, the scientific community and all other decision makers. Along with them there will be nearly 60 – 70 exhibitors at the conclave. In addition to the B2B meetings this year there will also be an association networking evening, where members will get a chance to interact with all the medical association leaders who are responsible for conducting their events and meeting in India. 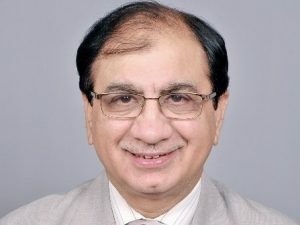 Chander Mansharamani, Vice Chairman, ICPB, shared that the GST slabs announced for hospitality industry will negatively affect inbound tourism immediately, deterring tourism especially when the country is in competition with neighbouring countries. “The MICE industry will be terribly hit as most of the convention facilities are only available in 5-star hotels which have room rates of Rs. 5000 or above. The high tax rate of 28 per cent will negatively impact conventions and conferences in the pipeline as well. I feel scope for manipulation has been left for the hotels where one can charge Rs. 4990 for a room and pay only 18 per cent instead of 28 per cent. Also there is confusion whether the tax will be charged on rack rate, published rate or on the negotiated rate. The whole purpose of one tax one India is defeated,” he added.